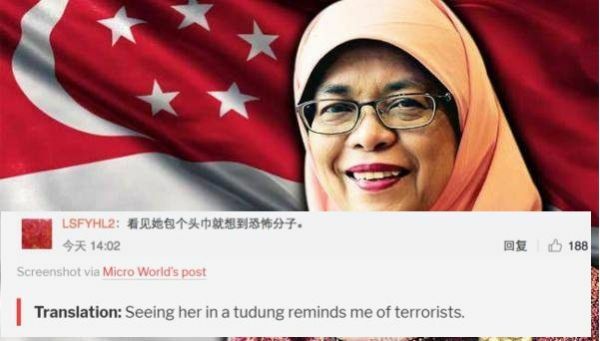 Although Singaporeans are unhappy about the controversial decision to allow Halimah Yacob to become President of Singapore in a walkover election, many netizens did not take kindly to the kind of reception Madam Halimah Yacob's appointment received in China. 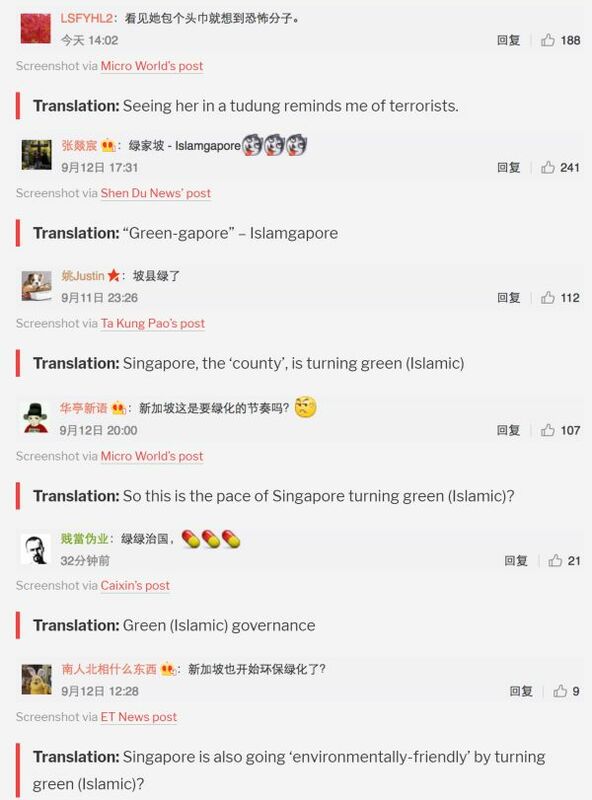 Chinese netizens who read the news immediately jumped to conclusions on Weibo and lamented that Singapore was turning "green" or "Islamic". This despite even handed coverage in the Chinese media. One champion even wrote in Chinese: "Seeing her in tudung reminds me of terrorist." A report by Mothership.sg translated a number of comments which upset Singapore netizens.